Technical terms can get overwhelming, especially in the IT industry, and when they contain too many three-letter acronyms. Like, SSD, which stands for Solid State Drives. These SSDs can be purchased for your desktop or laptop computer. 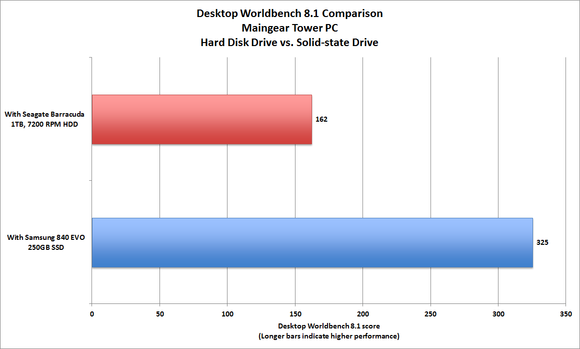 SSDs are like hard drives but without any moving parts and can be used in place of hard drives. Its like a memory card but on steroids and is generally faster than HDDs (hard disk drives). The hard drive, with its mechanical moving parts, is almost certainly the biggest bottleneck in your PC. However, the lack of moving parts with a SSD, actually allows data to be transferred at maximum speeds as well as allowing your machine to run much quieter. Although, this storage upgrade can be costly, the overall benefits outweigh the price. With a Solid State Drive, you can expect startups, programs and files to launch and load much faster. Another perk to purchasing additional storage is it also uses less electrical power than a conventional hard drive. And with prices dropping annually, it is easy to get your money’s worth by determining the price per GB and also how much storage you require. Ideally, 128GB (and in some situations 64GB) is enough for the operating system, programs and some games. You shouldn’t store media (like music, videos or pictures) on a Solid State Drive because the fuller the SSD gets, the slower it will run. Other storage options are available for media storage, such as cloud storage.